OUR EVENTS PAGE AND CALENDAR. 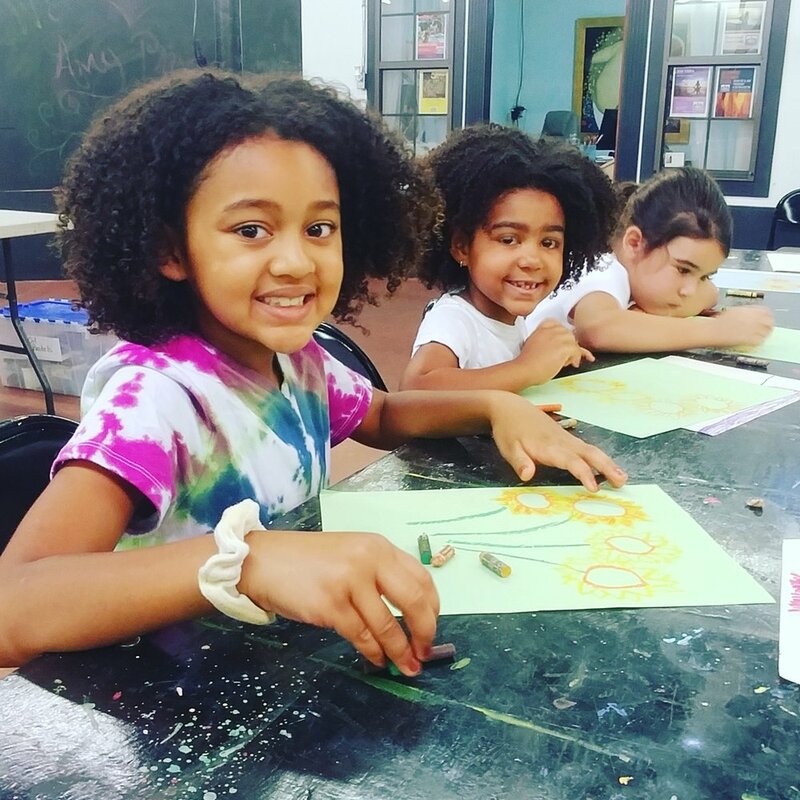 The Leesburg Center of the Arts provides art education and opportunities to approximately 1,000 kids a year through various art education programs we offer. Our outreach art education program curriculum matches what we do at the Art Center! Its more than coloring pages. WE are teaching kids art techniques made famous by artist like Monet, and Picasso. Why is this important? Frankly, art activities helps with cognitive development, creative problem solving skills, communication skills and building relationships. "Art Camp" for Preschool boys and girls ages 4 to 5 will learn techniques made famous by Kandinsky, Degas and more, all while creating their own gallery exhibition. Students will have the opportunity to create their own masterpieces and devote themselves to becoming serious artists. "Art Camp" for Early Elmentary boys and girls who have just completed Kindergarten, 1st and 2nd will learn techniques made famous Kandinsky, Degas and more, all while creating their own gallery exhibition. Students will have the opportunity to create their own masterpieces and devote themselves to becoming serious artists. "Art Camp" for Early Elementary boys and girls who have just completed Kindergarten, 1st and 2nd will learn techniques made famous Kandinsky, Degas and more, all while creating their own gallery exhibition. Students will have the opportunity to create their own masterpieces and devote themselves to becoming serious artists. "Art Camp" for Older Elementary students who have just completed 3rd to 5th grade will learn techniques made famous Kandinsky, Degas and more, all while creating their own gallery exhibition. Students will have the opportunity to create their own masterpieces and devote themselves to becoming serious artists. Students who have just completed 9th to 11th grades will discover their unique artistic independence, and mysteries of combining art mediums, and the wonder and pride in serious artistic challenges. Students who have just completed 6th to 8th grades will discover their unique artistic independence, and mysteries of combining art mediums, and the wonder and pride in serious artistic challenges. The 2nd and 4th Wednesday of each month the center is hosting Junior Open Studio from 3-5 p.m. Kids in 3rd, 4th, 5th, 6th and 7th grade will have the opportunity to learn from local Leesburg Artists the how-to's in art. Open Studio is free to LCFA members!!! Class size is limited.